SAVABELLA ROSE, by Savabeel. Winner at 1350m in NZ. Three-quarter-sister to BRAMBLES, LINCOLN BLUE, LOPOV, half-sister to LEGSMAN, Prickle. This is her first living foal. LEGSMAN (Pins). 8 wins from 1450m to 2400m, A$403,680, ATC Winter Cup, L, Rydges Parramatta H., AJC Royalrandwick.com H., STC Kantarra H., Night of Champions P., 2d ATC WJ McKell Cup, L, STC Spring Valley H., ATC RAAF H., Rocket Man H., 3d AJC Colin Stephen H., Gr.3, ATC Tattersalls Club Cup, L, Australia Day Cup, L, City Tattersalls Club Cup, L, Gosford Cup, L, Qld Tatt's RC Global Transport Insurance H., BRC Dan Rodrigues H., 4th Newcastle Gold Cup, Gr.3. BRAMBLES (Savabeel). 6 wins from 1600m to 2400m, A$870,258, BRC Queensland Derby, Gr.1, Grand Prix S., Gr.3, Rough Habit P., Gr.3, VRC Spring is the Season H., MRC Le Pine Funerals H., 2d VRC Turnbull S., Gr.1, MRC Heatherlie H., L, ATC Aristocrat Technologies H., MVRC NYE at Moonee Valley Premium H., 3d BRC Gunsynd Classic, Gr.3, 4th MRC Caulfield Cup, Gr.1, ATC Carbine Club S., Gr.3, MRC Anniversary Vase, L.
LINCOLN BLUE (Savabeel). 3 wins from 1200m to 2100m, NZ$107,350, Levin RC Wellington S., Gr.3, ARC 3YO Salver, L, 2d WRC Luna Rossa Cup, NZTBA Wellington Guineas Trial, 3d Waikato Guineas, Gr.2, 4th Levin Classic, Gr.1. LOPOV (Savabeel). 7 wins from 1300m to 2500m, A$289,287, Kalgoorlie Cup, L, MRC Yalumba Masters H., MVRC W&P Truck Sales H., WATC Perthracing.com.au H., SAJC Betfair H., 3d MRC JRA H., Abdul H.
Very Grand. 4 wins to 1550m, A$145,730, STC Dry-It H., Winter Racefest H., Jim Beam & Oyster Bay H., 2d STC Aidan's Freeway Hotel H., 3d AJC Rosebery H., STC Manildra Group H., MVRC Agricola Crop Insurance H.
TRAITOR (Mossman). 3 wins at 1400m, 1500m, A$181,675, ATC Phar Lap S., Gr.2, Australian Turf Club P., Membership on Sale H., 2d ATC Michael Ford H.
SALGADO (Danewin). 7 wins from 1200m to 2100m, A$365,280, MRC Sandown S., Gr.3, 2d QTC Sir Byrne Hart S., Gr.2, STC Royal Parma S., L, 3d STC Frederick Clissold S., Gr.3, Hawkesbury Gold Cup, Gr.3, NSW Tatt's RC Tattersalls Club Cup, L, STC Festival H., L.
DANE SHADOW (Danehill). 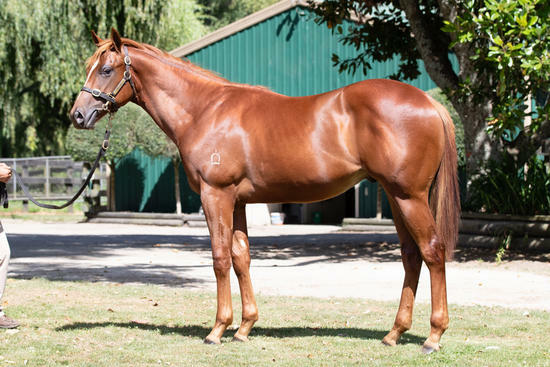 Winner at 1400m, A$231,500, NSW Tatt's RC Ming Dynasty H., Gr.3, 2d AJC Up & Coming S., Gr.2, STC Todman Slipper Trial S., Gr.2, Silver Slipper S., Gr.2, 3d STC Missile S., Gr.3, Newcastle JC Spring S., Gr.3, 4th AJC George Main S., Gr.1. Sire. INCLUDE (Gallant Guru). 10 wins from 1200m to 1600m, NZ$186,095, Otago RC Dunedin Guineas, L, Southland Guineas, L, Hororata RC South Island Thoroughbred Breeders' S., L, 3d CJC Warstep S., L.
SHARP PRINCESS (Pins). 6 wins from 1200m to 1600m, NZ$200,650, A$9,450, Hororata RC South Island Thoroughbred Breeders' S., L, 2d Cambridge JC Travis S., Gr.2, Egmont RC Taranaki Breeders S., Gr.3, 3d Waikato RC Cal Isuzu S., Gr.2. ORCA (Carnegie). Winner at 1600m, A$165,000, AJC Carbine Club H., L, 2d AJC Frank Packer P., Gr.3, BTC Doomben Classic, Gr.3, AJC Waterloo H., 3d MVRC AAMI Vase, Gr.2. Double O Seven (No Excuse Needed). 6 wins from 1600m to 2100m, NZ$93,950, Waikato RC Empire Hotel Stratford H., Manawatu RC McMillan Feeds H., 3d Hawke's Bay Gold Cup, Gr.3, Wanganui JC 92.8 More FM Hospice Cup.